Merseyside Maritime Museum will display a brand new exhibition from 22 July until 4 June 2017, focusing on the Liverpool Pilotage Service; the second oldest institution in Liverpool, the oldest being the Town Corporation (now City Council). Telling the story of the Liverpool pilots and their vital role in navigating ships in and out of the Port of Liverpool, In Safe Hands:The Story of the Liverpool Pilots will explore 250 years of maritime history, and shed light on the vital role that the pilots play bringing in ships to the port. Liverpool waters are some of the toughest in the world to navigate. Ships entering Liverpool Bay and the River Mersey face serious hazards and rely on the skills and knowledge of marine pilots to ensure their safe passage. Ben Whittaker, Curator of Maritime History and Technology at Merseyside Maritime Museum, said: “Not enough people know about the job the pilots do; they ensure safe passage of the ships that bring us the many things we take for granted in the modern world., which is why we want to highlight their work through this exhibition in their 250th year. Visitors will be inspired by dramatic stories of pilots’ bravery, such as four young apprentices who died in the Second World War trying to rescue colleagues in stormy seas. People can also learn about pilot ships, including a famous incident in 1881 when the aptly named pilot boat Leader led 12 ships into the port during a heavy storm. The exhibition will explore the development of the Pilotage service within the wider history of the Port of Liverpool, from the explosion of growth in the 18th and 19th centuries, decline in the mid to late 20th century, through to the thriving port of the 21st century. 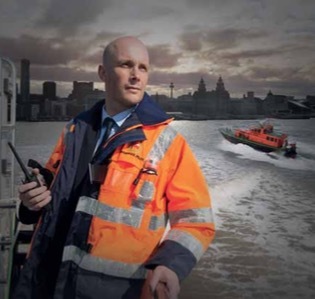 Chris Booker, Chairman of the Liverpool Pilotage, service said:“This a special year for the Liverpool Pilotage Service and we are delighted that the public will get an extended opportunity to find out about the work we do through the exhibition. We have worked with the Museum on some of the content and lent some objects from our own collections for the exhibition, and are very excited to see the finished displays”. Treasures from the Royal Yacht Mary, one of the most famous shipwrecks in local waters, will be on display, as an example to illustrate the dangers of navigating ships in the age of sail. Never-before-seen items include a hat band from HMS Thetis, on which 99 men tragically died in 1939, including a Liverpool pilot, and a modern pilot’s jacket, which has fascinating hidden features like an integrated lifejacket with automatic inflation by pulling a chord, a safety light and strobe light, and a concealed whistle. The exhibition follows four main themes including A Safe Passage to Liverpool, which introduces the role of a pilot and the hazards in local waters, as well as the founding of the pilot service in 1766. The Storms and Seamanship section looks at the life of a pilot in the nineteenth century and era of sail. The third section, Port in a Storm, examines the formidable challenges and seismic changes to the Port of Liverpool in the twentieth century, including both World Wars and containerization, and how the Liverpool Pilot Service had to adapt. Finally, 21st Century Pilotage looks at the role of the pilots today in the thriving modern Port of Liverpool. The Spirit of Falmouth will also be berthed outside the Merseyside Maritime Museum when the exhibition opens, in Canning half tide dock 20–22 July. The ship is used by the Charity ‘Turn to Starboard’ and will be in Liverpool as part of their round Britain challenge. The Spirit of Falmouth, built in the style of pilot schooners in 1980s Liverpool, is being painted in the 19th century pilot boat livery to mark the 250th anniversary of the Liverpool pilots.